Tuesday, April 30, 7:30-8:30pm, 6 Weeks/$60. Sunday, May 12, 5-6pm, 6 weeks/$60. 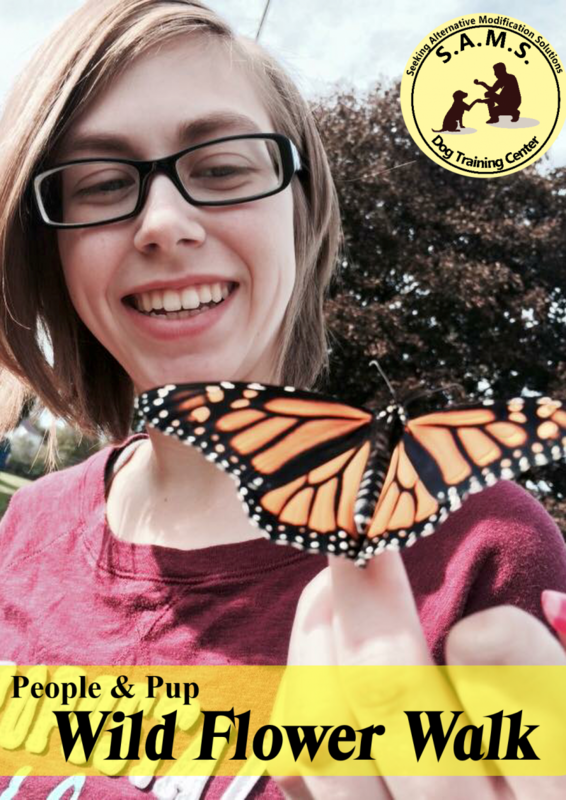 June 12, 6-7pm, 6 Weeks/$60. This program follows the AKC S.T.A.R. 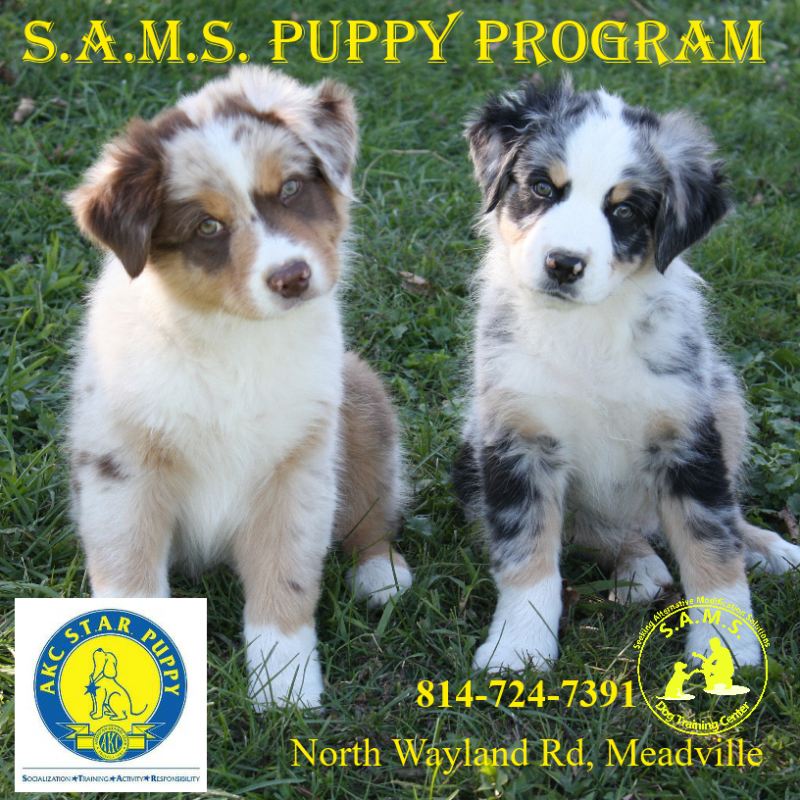 Puppy Program and is designed to help you understand the importance of socialization, proper training, stages of development, bite inhibition, and house training. 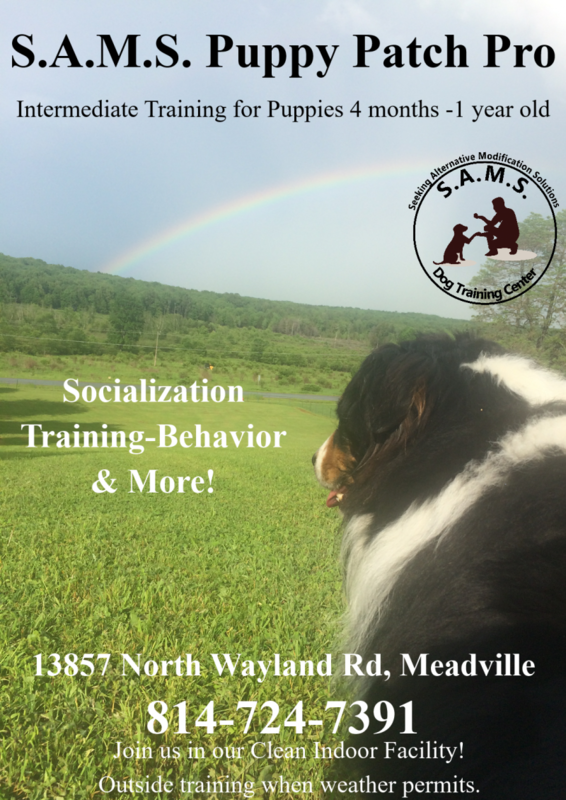 We also go over Puppy Management and Exercise, Problem Solving and Prevention, Food Bowl Exercises, Handling﻿ and Restrain, Safety and Poison Control, Basic Manners: Sit, Down, Come, Stay, Wait, Targeting, Go to Mat and Leash Walking, and much more. Learn to look at the world as your puppy sees it and create a bond of friendship with your puppy that will last a life time! 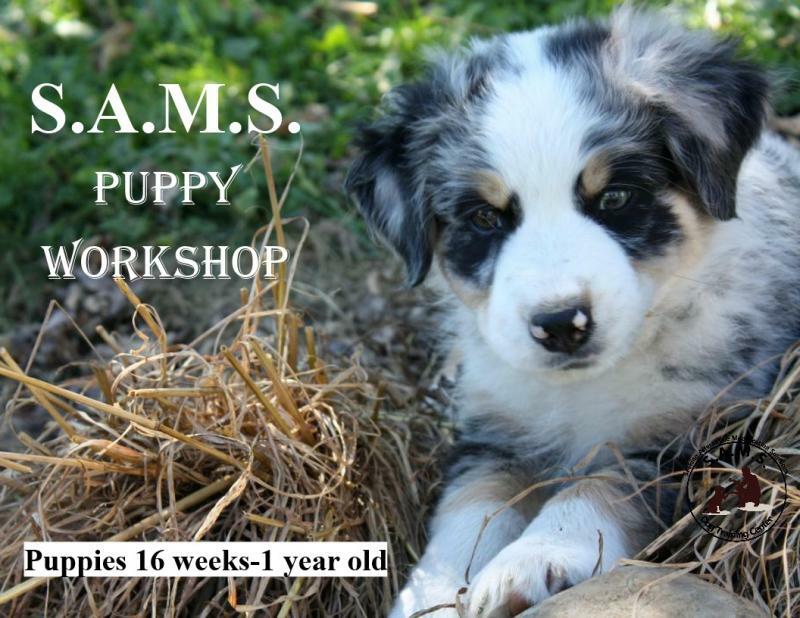 ﻿What you need to bring to class: Four different varieties of soft pea size treats, poop bags, water and a bowl, a copy of puppy vaccination records to keep on file at S.A.M.S., one puppy on a flat collar with a 4-6 foot leash attached to the human. ** Puppies are required to have age appropriate vaccinations based on their veterinarian recommendations. ﻿Please Consult with your Veterinarian﻿ about the risks BEFORE signing up for our Puppy OR Pre-Puppy class. Prerequisite: SAMS Puppy Patch Program or equivalent at another training facility. 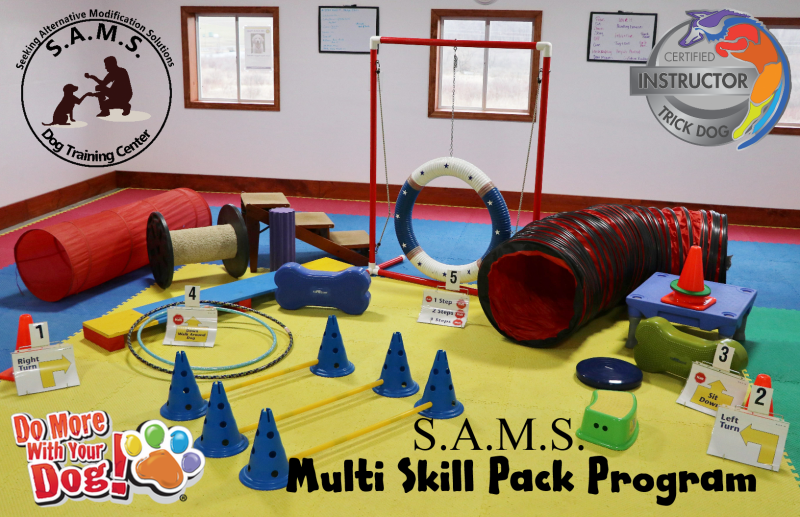 This Group Class focuses on Sit,Down,Come,Stay,Wait,Give,Take,Tug,Door Manners,Loose Leash,Puppy games,Socialization,Enrichment, Proper Behaviors and More! NOTE: If you miss a session in any of our programs you can make it up at a later date or join another ongoing group class until your paid sessions are fulfilled. starts again in May 2019! Learning and Fun Mixed into one! 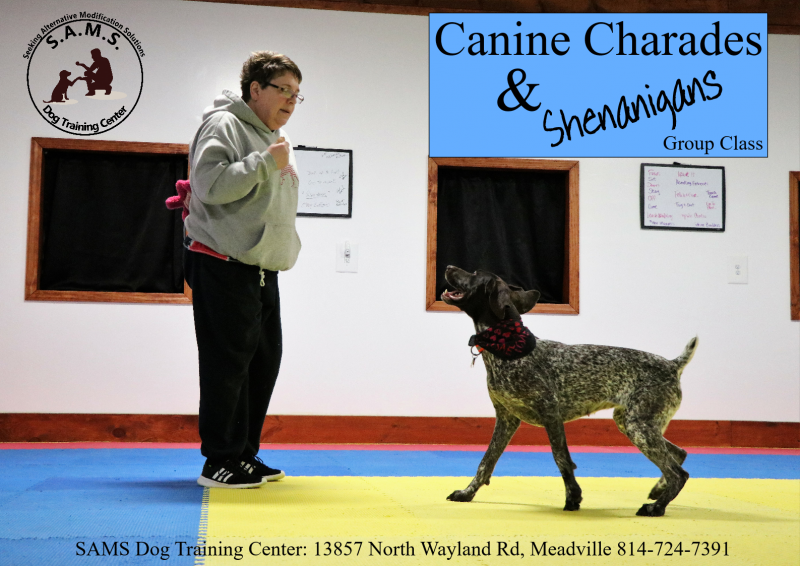 This six week group class covers Silent Cues, Hand Signals, Human and Canine Body Language, Voice Tones and much more while teaching Sit, Down, Come, Stay, Stand and Stop with Distractions and Distance. for puppies 6 months or older. our New Air-Conditioned/Heated training facility on North Wayland Rd, Meadville, PA.
and cooperative in his/her skills and handling. 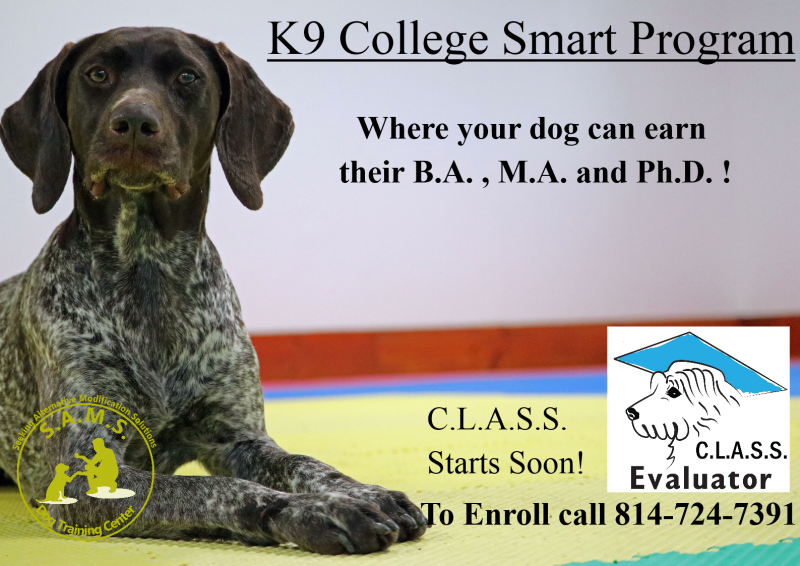 Set your puppy up for success and join us ! 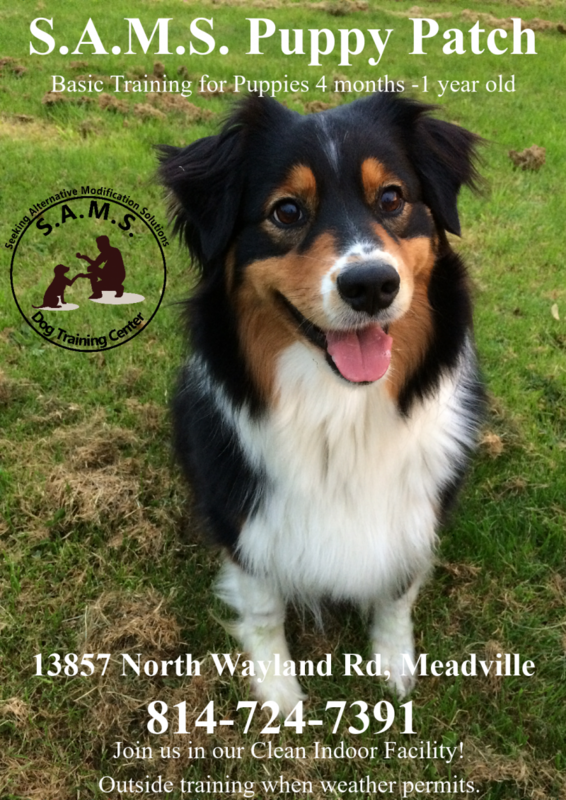 on North Wayland Rd, Meadville PA.
EVERY Wednesday Is Waggin' Tails Day! Starts May 1, 6pm-7pm, 6 Weeks/$60. This Program is held at our Clean-Heated-Indoor Training Center, 13857 North Wayland Rd- Meadville. Tuesday , May 28, 6-7pm, 6 Weeks/$60. 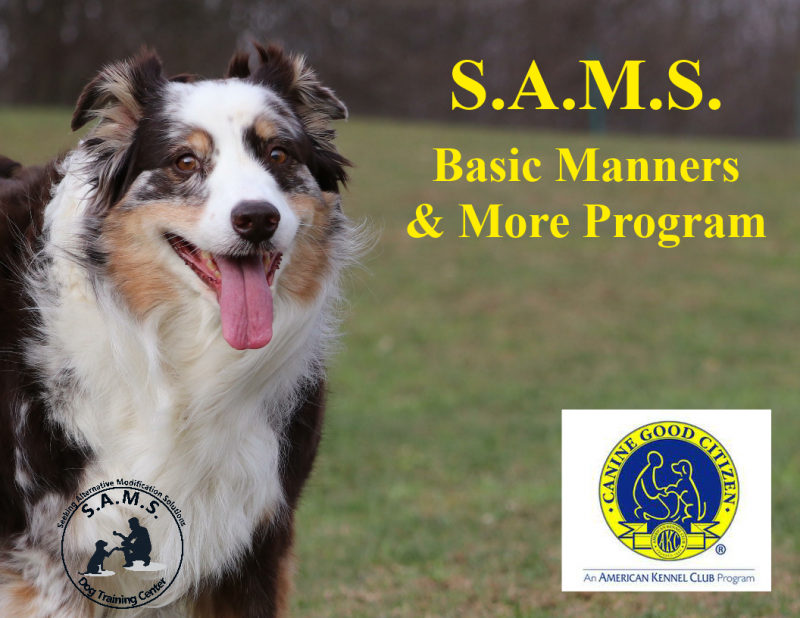 We go over Puppy Management and Exercise, Problem Solving and Prevention, Food Bowl Exercises, Handling﻿ and Restrain, Safety and Poison Control, Basic Manners: Sit, Down, Come, Stay, Wait, Targeting, Go to Mat, Leash Walking, and much more. June 11, 7:30-8:30, 6 Weeks/$60. Cost: $60. We'll meet once a week for six weeks at our Clean-Heated-Indoor Training Center on North Wayland Rd, Meadville. This program follows the APDT C.L.A.S.S. Offers Private and Group Sessions! 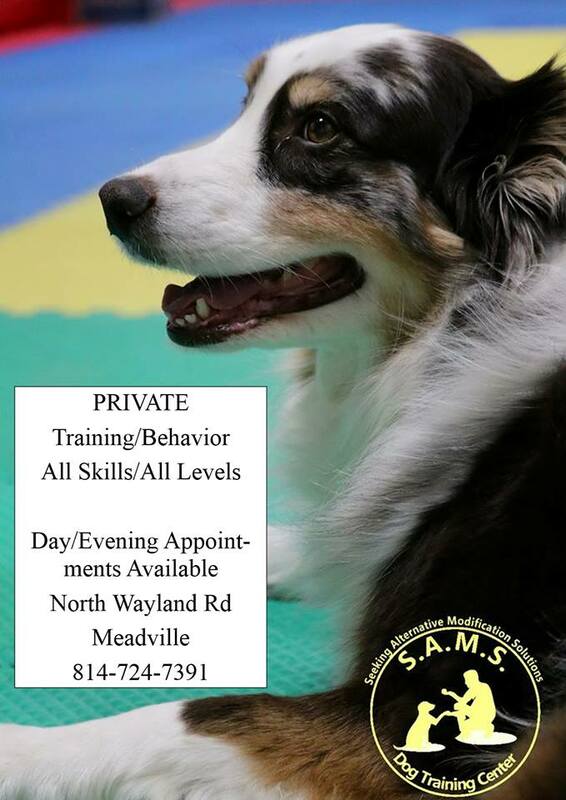 1 Hour long Private Session for Training/Behavior is $55. A "Private Package" of 4 individual-hour long sessions for Training/Behavior is $100 total.